Another reaction I got was the deer-in-the-headlights look from the School Board I spoke to with that “What in the world is he talking about?” look on their faces. Becoming a Millionaire does require a shift in the way you think. And what people misunderstand the most about becoming a Millionaire is that there is a process and the process comes with a timeframe. That timeframe is generally in the 4 to 5-year range. Now I’m getting mostly “This is so long overdue!” “Great message!” and “You’re ahead of your time!” reactions. That’s pretty cool and a welcomed change. I really appreciated the text I got this week from one of my Young Adult students about the things he put on his radar screen a year ago. He’s now married to the love of his life, lives in a beautiful home and has his little princess not to mention the book he finished. Can’t wait to see what he reports a year from now. Such is the power of our thoughts and the importance of staying focused and taking action – especially if you currently have a job! 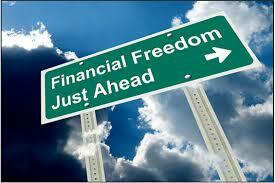 That’s the point – to move yourself out of that job and be free to live your life on your terms. And at the top of that student’s list of priorities is to be a Millionaire. Yes, the money is part of it. But more importantly, he wants to be free to be home with his princess as she grows up with her brothers and sisters yet to come. 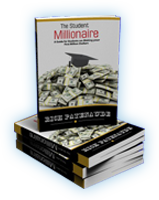 In The Student Millionaire, the second chapter is called The Purpose. The whole reason to be a Millionaire is to be free to share your gifts and talents, your interests and passions with the world and make it a better place while blessing the lives of others. Essentially, you make the world a better place by being you and just by being here. Never forget that this is why we keep that Million-Dollar Goal on our radar screen. As I recently told an Assembly of Middle School students, you start by thinking about it. Then you start getting ideas. Then you take action on those ideas because they are yours and are part of your path to your First Million Dollars.